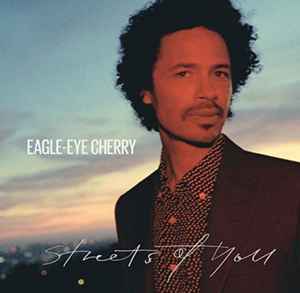 I think it’s been quite a while since Eagle-Eye released an album – they are few and far between from him, and his musical career has been a bit erratic, IMHO. I listened because I quite like some of his previous stuff – it’s pop, which is generally not a preference for me, however, Mr Cherry I’ll take the time for, for the simple reason that what he DOES put out there, is executed to a high standard – good melodies, nice tight musicianship and production – there’s something ‘clean’ about it. Seems as though this new release has gone down exceptionally well in his native Sweden where it’s been nominated for their local Grammy Awards. It’s not exactly fresh, having hit the shelves on 26 October this year, but hey ho … . Streets of You is an easy peasy listen – unobjectionable, light, enjoyably airy and well made with not too much filler although there was a moment there when I nearly lapsed into boredom, lol! So picky. Don’t think I’ll be dashing out to buy it in a major hurry, but I may pick it up at some point.